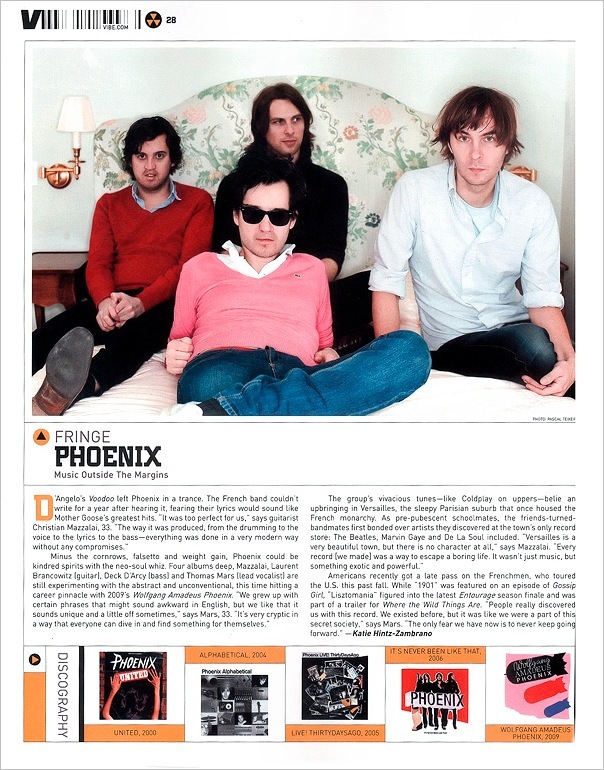 Man, I've been into Phoenix since I heard the song "If I Ever Feel Better" nearly five years ago at the Virgin Megastore here in Los Angeles. When I heard "Listomania" in the finale to "Entourage" I knew they were starting to blow up. Wolfgang Amadeus is probably my favorite album this year. It's also nice to see Vibe Magazine covering groups like this in their comeback issue.